Just regular folks. 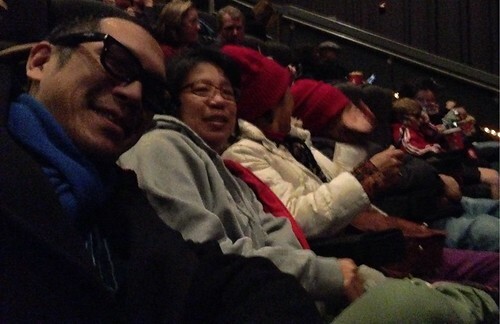 : Lee family movie night. The night we ditch the Martins. Every time when I watched the movie with Mom (At least, for two years, we never watch any movie at a theater. ), she always asks me "who is the good guy" and/or "who is the bad guy." This time, there is no good or bad guy around there, pretty straight forward. Rena knitted two. One for me and one for her. One morning, I told Rena my head was cold. Rena said you never wear any hat. I said I am pretty senior right now. I really like to have one, if you can help. She did and it is warm and I love it. The Family is one of the most talked about comedies, so reviewed it on my blog for the benefit of my readers.